Published by todd on June 19th, 2009 in General. where can we find the movie on internet What about Baird? And is theremore info about teh writer David Bruton? Thanks for your comment Kees. To my knowledge, the documentary ‘What Happened to Baird?’ discussed on http://evolutionopensource.blogspot.com/ was never produced. I’ve contacted the company several times and never received a response. The Spalding material on that site has not been updated for several years. I have an extensive collection of information on David Bruton, gathered from his books, historical research and family members. Bruton was a fascinating person in his own right, and I plan to write an article on him for this site. I welcome anyone who has information on Bruton to contact me. There are nice pictures and photo.s in the book Volume 6 from Baird T Spalding also some pictures in the book Baird Spalding I knew him frm Burton..but where are the pictures that Baird took on his trip? also he mentioned about Dr Norwood and Jesus…plse advice. Compliment for your site! Greeting from Holland/Europe! Yes, Life and Teaching Vol 6 (a collection of various Spalding articles and miscellanea published by DeVorss relatively recently in the ’90s) has a picture of Spalding and DeVorss with the India tour group before they departed in Oct 1935. There is also a letter from Dr Balsch in Calcutta reprinted in that volume, but as far as I know there is no other correspondence or info published by DeVorss outlining what happened in India. I’ve done a lot of research into the 1935 India tour and have located two third party accounts of what transpired in India with Spalding and his followers. I’m saving them for a future blog post. I’d be very interested in seeing a copy of those. None of them have turned up during my research. I do have the names of several of the people who went on the India tour with Spalding, but to my knowledge DeVorss did not publish anything substantive about the tour after the Calcutta letter from Dr John A Balsley. As I mentioned, there are several third party accounts of what transpired in India, Bruton’s being the most accessible. Have you not considered requesting the aid of a genealogist? Most public libraries have them and they are always ready for a good challenge. At the least, they could find the records of his birth. Patricia, I’ve done a lot of genealogical research on Spalding and other people involved with his life, as well as consulting several genealogists. Unfortunately there are no birth records for that period of time in Steuben County but there are other records available as I’ve noted in the posts. I’ll be publishing some of my additional research on this site in the months to come. Are there more pictures or special notes of the first trip in 1894 that Baird took? Is there more extra info about that special trip in 1894? The orginal names and how many people went on that trip? people performed in this day and age? he claimed to be, according to this source. Kees – I don’t disagree with that analysis by Joe Szimhart. My research has shown the same thing. The fact that Spalding never visited India in the 1890’s doesn’t appear to have hurt his popularity though. The connection with the Ballards and I AM is an interesting area that I am researching further. How does he being a mystic and the mining work go together? What for and what was he digging up? Good question Heidrun. Spalding was involved in a number of mining projects, mostly gold, zinc and copper. Early records place him at the Fortymile gold rush in the Yukon, and he was involved with a copper mine in New Mexico right up until his death. It’s not an uncommon connection amongst entrepreneurial mystics during this time period. Frederick Spencer Oliver and Guy Ballard are two other Californian mystics who were involved with mining and claimed unique spiritual experiences. Has any of you tried to locate the villages Spalding mentions in his books? Might be interesting to try reconstruct his travels. the villages and names of temples are written/mentioned in the beginning of 19th so the names are not any more correct spelled according today 2009. But the Gobi desseert ofcourse is still the same and mystic! But indeed there is no 100% reconstruct sofar i know…. I don’t believe it is possible to locate any of the villages regardless of the names used. It is clear that Spalding did not visit India in the 1890’s as claimed. As I’ve posted above, Life and Teachings is a magical autobiography and can only be interpreted as such. I have spent some time analyzing the text and Spalding does name people that can be cross checked. An example is Gordon Weldon who according to Spalding in Vol 3 is “a well-known writer, who had lived in India for many years”. I can find no reference to such an individual in India in this time frame. In fact, there is no relevant mention of a Gordon Weldon anywhere on the Internet or in online archives of newspapers etc. If you do a Google Books search for any mention of a Gordon Weldon prior to 1900, there are only three matches. Two are random occurrences of the name and the last is Spalding. The text of Life and Teaching imparts very little information about India in way that could be cross checked, since Spalding obviously anticipated readers would reference maps etc in order to identify the locations of the temples he wrote about. Spalding also omitted almost all personal identification of other party members from the text for presumably similar reasons. 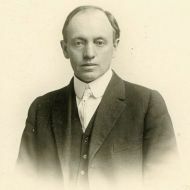 It is unlikely Spalding anticipated the development of computer databases which would enable a reader to identify that even minor characters such as Gordon Weldon never existed outside of Spalding’s imagination. there is a vietnamese book titled “hanh trinh ve phuong dong”, translated from “journey to the east” by baird t. spalding. according to the tranlsator, the book was published in adyar, india in 1924. it was translated to vietnamese in 1975. he borrowed the book from a san diego public library. this book is popular in vietnam, there are several websites that post the enitre book (285 pages in 10 chapters), there are also 10 audio chapters in mp3. in the translated book, the party consisted of professors from europe and america: spalding, oliver, mortimer, allen, evans-wetnz… told in the 3rd-person. no mention of emil, but a “mysterious indian” who guided them in their journey. notable people they encountered: bhramananda, sudei babu, mahasaya, harishinanda, hamud el sari, ram gopal mukundar, doctor kavir, lawrence keymakers…. asmah and the silence temple were mentioned also. i tried looking for the english version on line, contacted theosophical society in adyar and they have not heard of it. i contacted the translator who told me he also tried looking for it in india when he went there, to no avail. in the last pages of the book, the party was called home by their sponsored universities, several decided to stay and continue. of all they heard and experienced in the previous years of travel throughout india, they were well-prepared to begin their “journey to the east”; which seems to me the events that would be told in the “life and teachings”. english readers are missing out on this exciting prelude. i sure hope to find the original version soon. This is great news, Jean Luc. Hope you’ll find the book again. Must be interesting to read the prelude to The Life and Teaching of the Masters of the Far East. Jean Luc, your post interests me greatly. I’ve been searching for years for some confirmation of a pet theory of mine. Two series of books have had a profound impact on my journey. One, of course, is Spalding’s. I read them during a particularly sensitive time, and their impact was enlightening. Regardless of what “researchers” claim about Spalding’s activities, I felt the first 3 volumes were “inspired”, the 4th was a little awkward, and the 5th and 6th were totally UN-inspired. The second author to whom I refer is James Churchwood, who wrote the MU series (Sacred Symbols of MU, et al.). Churchwood claimed to have been in the Tibet region “with a group of young scholars” in the 1890’s. He also states in his books that he returned to America with the majority of the group, but that a few stayed behind to study further with the Masters. The information in his books he claims to have learned from these Masters. It was after I read Churchwood, that I came across Spalding’s series. The question has always been in my mind, as to whether Spalding and Churchwood were in that same group, and Spalding was one of the ones who remained behind. Now, we know that the Internet is all-knowing, and the last word on historical facts (sic), but I still wonder….. I have been researching hanh trinh ve phuong dong since Jean Luc’s comment. It’s an interesting book and I am writing a blog post on it. Paul’s comment is quite perceptive. There was a direct connection between Churchward and Spalding as they knew each other and Spalding’s wife Stella typed up Churchward’s manuscript in the 1920’s. I have a copy of a letter Churchward wrote to Stella, as well as cover page of the book he dedicated to her. There is a Churchward biography called My Friend Churchey if you can find a copy. I have come to one conclusiong after years of study. It doesn’t matter what the vehicle, whether fiction on otherwise, if the message resonates with the reader, and leads them closer to the Truth, it is valuable. The list is long, of stories written in simple lanugage that reveal the nature of our existence (Redfield, etc.). Even Lovecraft hinted at a history of Mankind that contemporary thinking will deny. I know that Spalding’s books affected my life, regardless of how he gained the information he presented. Many works of fiction are truly inspired, in my opinion. i feel the same way. regardless of origin, the work associated with mr. spalding changed me in a great way, and i am forever thankful to be aware. These places are so remote that it’s possible there are villages that are not on any map. He also mentioned a village called Asmah, which I haven’t found but i came across this village called Kazan-Asma in Turkestan, which interestingly relates to Auriel Stein who found the cave of the Thousand Buddhas on the Silk road. I started reading book3 yesterday & at the beginning of Ch vl read this “He suggested that we return to India by way of Lhasa,thence to Muktinath through the Trans-Himalaya pass to Kandernath” I’m very familiar with the geography of the Himalayas & knew straight away that Blair was referring to Kedarnath the home of Lord Shiva’s main Temple. Further down that page he mentions “The caves of Hastinapur” & the great Rishi Vegas, again this is another spelling error & I knew he was referring to Rishi Ved Vyas who wrote some of the Veda’s including The Bhagavadgita. I did a search on “Caves of Hastinapur & Kandernath” & up popped a book called “Great Masters of The Himalayas;Their Lives & Teachings By Singh Rishi Gherwal who claimed to have travelled this route to Tibet in 1922-3. When I read some of the content of this book online I found Rishi Singh had used the same spelling as Baird for Kedarnath -Kandernath & in Ch VII called Hastinapur he calls Rishi Ved Vyas, Veyas similar to Bairds spelling Vegas. Just coincidence??????? Thanks for the comment Rob. It’s probably not a coincidence. By the time Spalding finished Vol 3 in 1935, he was in the middle of a divorce from his wife Stella who I believe had a large influence on the first two volumes. For a variety of reasons, Spalding was under a lot of personal pressure around that time. He started a national book tour when Vol 3 was released in August, then left immediately to tour India in October. As well as being a less inspiring read, there are allegations in the Bruton biography that Spalding plagiarized content in Vol 3 from a variety of sources, including a Hindu authors book, which may be a reference to Rishi Singh Gherwal. According to Bruton, Gherwal declined to pursue a lawsuit. As far as I know Gherwal was born in India in 1889, and emigrated to the US at the turn of the century, becoming a citizen in 1936. This is in contrast to many ‘Indian’ writers of the time who were Westerners writing under pseudonyms. Nobody appears to have written a biography of Gherwal unfortunately. According to one reference he taught yoga at an ashram in Southern California in the 1920’s, before he started writing books. He died in 1964. I have a copy of a newspaper article from 1927 that shows Gherwal was teaching philosophy and yoga in Santa Barbara at the same time as Spalding was coming to public attention. Gherwal was a prolific author and obviously had a deep familiarity with India in both the religious and political spheres, far beyond what is typical during this time. As you noted, the book title ‘Great Masters of the Himalayas – Their Lives and Temple Teaching’ is very similar to Spalding. I’m sure there is an interesting story around this and I am continuing to research it. If anyone has additional sources of information on Gherwal, that would be valuable. You can read two of Gherwal’s books online at Sacred Texts. Thanks so much for the site. I’m 55 now. First read the 5 volume set when i was 17, and have been profoundly affecetd by them over the years. also The Science of Mind by Ernest Holmes. Quick question though. Don’t i remember one of the masters saying something to the effect of “we know nothing of an astral body, or astral projection, and want nothing to do with it”? in replying to Jean Luc’s email on september 4, “english readers are missing out on this exciting prelude. i sure hope to find the original version soon”, i found a solution for you all. go to amazon.com and search for “journey to the east by Baird T. Spalding”…. why didn’t any of you think of this possibility? you do not have to look for the original english book anymore. I mentioned Spalding in another paper. NB: My old website on ‘fastnet’ mentioned above is defunct. “Unlike Blavatsky who mostly wrote messages from the Masters, the Ballards elaborately staged and recited their channelings at Masonic Temples, Unity Churches and any place where they could transmit the words of more than twenty Ascended Masters including Jesus, Arcturus, Comte de Saint Germain as well as HPB’s Morya, Djual Khul and Koot Hoomi (a.k.a. Kuthumi). During the 1920’s the Ballards were struggling occultists who made money from Edna’s music lessons or Guy’s “goldmine engineering.” The latter often turned out to be confidence games he played on unwary investors (Bryan 137). Guy was acquainted with Baird T. Spalding, the author of The Teachings of the Masters of the Far East, and shared some of his spiritual notions about the Masters. Spalding’s five volumes have been popular with many of Ramtha’s followers. The books are based on Spalding’s alleged Far Eastern travels and mystical experiences. There is one problem; Spalding wrote the first three travelogues before he ever left the American continent. He told Paul Brunton that he made these first visits in the “astral body” (Brunton 252). Brunton, himself another occultist-poseur, has been exposed by many former disciples (Masson 1993). What Teachings?? By which masters? Baird made it up or stole it from other bogus writer/travellers. However if you have a genuine interest in the idea of the illusoriness of life then try Googling Advaita Vedanta, Adi Shankaracharya, viveka chudamani, I AM THAT by Nisargadatta Maharaj & Jiddu Krishnamurti. I’m with those who have commented intimating that the research and analysis is pointless, although it perhaps is a worthy entertainment. Find “I”. Find the Silence Temple within. Whether this tale ever happened in “reality” or not, it emanates precious wisdom which, yes, can be found in myriad other places. The Masters have been speaking to us for an eternity, through many vehicles and directly, only we would rather do research than listen. We are looking for proof in the wrong places, and that search will take us away from the most meaningful one, the one that will land you right back where you started (to mimic a phrase from T. S. Eliot). Thanks for the comment Simon. I hadn’t read of Underhill before. I should point out my interest in Spalding is primarily from the viewpoint of writing his biography, as well as a study in anthropology and comparative religion/New Age thought. I do plan to write more on the content of the books and how it was influenced by New Thought as my work progresses. I just found this site as I was researching the name, Gordon Weldon. As others have said, they were looking for some verification of the writings and this was a name that they could search. So interesting that we are being told the Baird’s writing may have been fiction and even plagiarized. The conclusion that what is written is inspired, even though its “factual basis” may be in question, resonates with me. I read extensiverly in New Thought/Ancient Wisdom material, including Ramtha, Ernest Holmes, U.S. Andersen(Three Magic Words) and many others. What I find is that all that I am reading at this time is consistent with what Life & Teaching says. Whether it is “true” or not is of less interest than how it feels. As many have said, you know the Truth when you read/see/hear it and feel it. To spend hours looking for the flaws and inconsistencies is to deny the Truth. As one of my teachers used to say, Truth is What Is. There is no denying it. We may go with the Flow, or try to swim up current. The river continues to run its course. I enjoy this blog because most of the commentary is positive and there is no attempt to downplay what Spalding wrote. We are all inspired, informed by Spirit, and it is our choice to listen or not. The vehicle may have some dents and dings, but it can still carry us forward. And, if it becomes disabled, we can get out and walk. I think the lesson of Jesus is that we are to keep our attention on our Source and recognize our relationship to It. yes…fact or fiction…not to worry too much methinks…it is nice that we all found our way to this place :). I picked up Vol3 of the “Life and Teaching…” recently in a 2nd hand bookstore and it has been an enjoyable read over Xmas/NY. I have certainly gained enough spiritual nourishment from the reading to justify my investment of $6…best to all. Don’t confuse the message with the messenger! How can everyone be so sure that the story is fiction? What is the proof of it? If you read the FAQ, you’ll find that Spalding was not in India in the 1890’s but actually mining in the Yukon. Indeed, he was only 22 years old in 1894. Spalding’s life story told in the books about being born in the 1850’s in England, studying at various universities, the 1894 expedition to India, and the Spalding Foundation and his family connections to India is entirely fictional. I’ve published numerous documents on the blog that show when and where Spalding was born, as an example, and that his family had no connection to India. It’s very clear that Spalding had a lifelong talent for ‘tall tales’, I’ve collected many dozens of examples in correspondence and personal meetings. Whether the events described in the book Life And Teaching actually took place doesn’t necessarely matter. It is all about how you react on what you read or see at the time of reading. For me reading the book triggered insights in me which I already know within. For somebody else it is perhaps some mumble-jumble. The book in itself does nothing. It is all about you, what you read or see, and how you react to this. It is not the book which created those insights. If that was true, everybody would react exacly the same when reading this book. However the book triggered that which I already know. Other perhaps have the exact same insights when walking in a forest or dreaming a dream. It’s all about you! Does it really matter the event actually took place? Let us leave this aside. Nobody can deny Life and Teaching is a book full of spiritual truth and great understanding. I just came across this website and was reading the comments. Let me first say that what is most important is the message. Life and Teachings of The Masters of the Far East is divinely inspired. Many people spend a lot of time trying to prove if something is true. If you believe you need proof than the Universe will give you all the “solid” proof you need that says it is not true. What you focus on will expand. Whatever you doubt and need proof for, the Universe will conspire to make it even more false for you. Life and Teachings is not a tall tale of Baird T. Spalding, no matter how much solid indisputable proof you gather. If you want to know what is really true, raise your Consciousness Higher and ask Father-Mother God to give you that proof, instead of proof you can only acknowledge with your five senses. So many Teachers have come to humanity, yet so many waste time in the mirk and the mire. The books ring true, having had a series of mystical experiences while studying A Course in Miracles, I remember, that an Ascended Master will show up, if called upon, if we are not afraid, or their words will given to us.. I Channel Ascended Masters, in a male Voice,so all things are possible..There is so much truth in Masters of the Far EAST, that I believe its authentic. I, too, recently came across this website. After reading all the posts, I went to bed and cried myself to sleep. Through the years, I have always found my way back to Spalding. I believed it. Why couldn’t he have presented it as fiction — because fiction presented as Truth can surely break a heart. Greetings from the beautiful river Mosel in Germany. Today I searched on “BTS” + “route” on Google and arrived here! Perhaps I got my search wish more than I know? – As mentioned above, rereading I immediately wanted to find one of these rarified temples and GO THERE to sit with a teacher and “do the work”, thus my Google for route. IS ANYONE OUT THERE ALSO LOOKING TO “GO” IN NEXT FEW YEARS? SHALL WE PLAN SOMETHING? – As several of you mentioned, the Spalding volumes were my first introduction (at around age 22?) to topics that have spurred my seeking to this day at the age of 55. No matter what comes from those of you doing this excellent research, I can only honor these BTS volumes for that inspiration – and its recent repeat inspiration. Something has gotta be up with that! – I remember “stumbling” upon the set and buying them in a flow of events that I can’t explain as I have found other books where I was walking the aisles of some used book store and reach for a book, absent mindedly, and end up finding out about The Master DK, Alice Bailey, Ray Astrology or some other thing “meant to see”. – As some mentioned, my initial reading faltered when I found the later volumes did not hold my attention and I drifted from them unfinished. Going on in my early twenties to gulp every drop of Shirley MacLaine’s tall tales instead…these worked perfectly to fuel me at that tender age past them and into authentic seeking all these decades later. – My recent goal this time was to really force myself to re-read all 5 Volumes – but there are 6?!. Having found this blog of their undoubted fiction…or of possible plagiarism…and of things more authentic…and of possible leads to the source materials…will I keep this goal to read them all finally? I don’t know. – I am a little disappointed that they are fictional…but it made sense to me quickly and I am ready to correct my course in any way, as needed. – I too have studied A Course in Miracles — I am truly one of the “love-hate” and uncompleted ACIM students. I came to ACIM via Gary Renard’s excellent lay-person book enticements. I have always wondered if GaryR, like BairdTS, might have done some sort of bizarrely inspired fictionalizing based on plagiarism…thought he has worked diligently as a teacher to discourage any of his readers from even getting DISTRACTED by such wasted thoughts. He too says “Just do the work” and [sic] “Many will be called but few will will hear and even fewer will arrive…and yet arrival of ALL is inevitable.” This seems exactly as BairdTS masters have said. GaryR says frequently…it doesn’t matter if you believe me. He openly says he is happy if all he does is inspire. – And I had already understood through GaryR, et al that the messages of ACIM most closely parallel those of Advita Vedanta, which I looked forward to studying more. – I will now add a goal of seeking out the writings of Gerwhal and others as identified above. – And I also OFTEN stop reading and just work on traveling to the Temple of Silence within and understand that there is no where else to go and nothing more to read. Its a dance with me. A long post but I hope to weave together the different revelations of this thread to date and add to it a few more that may catch the eye of others who stumble in this door. Repeating, with my own irony fully in view, are there any out there planning physical travel expeditions? 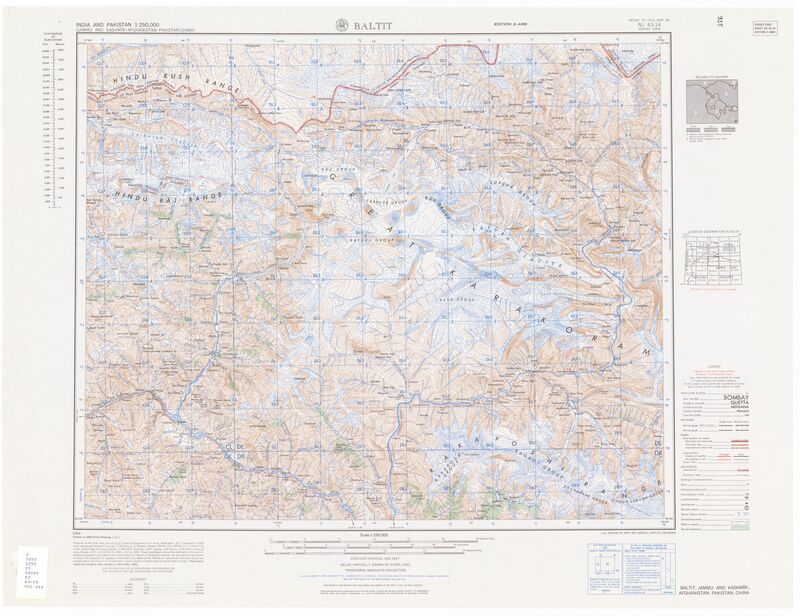 The US Army Map Service (AMS) Series U502 India and Pakistan was published between the late 1950s and early 1960s, and was last revised in 1962. The US AMS was superceded by the Defense Mapping Agency. This series was declassified in the 1970s, and preceded the Joint Operational Ground (JOG) series. 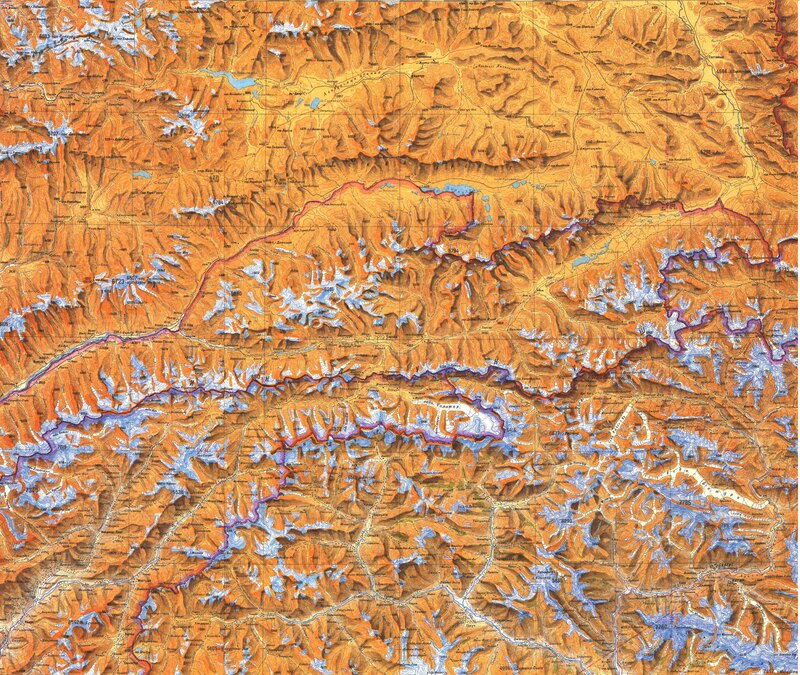 The U502 series remains, however, highly accurate for topographic details. Each map has a “reliability diagram” that shows its degree of accuracy. This series is the only map series to cover the entire Indian Subcontinent. The maps show most villages, but not recently-built roads. as Потал . With capital letter its reads Потал, and, according to Latin alphabet that gives Potal. Both maps (US and Russian) did not show the same villages, the Russian one seems to be older than the U502 series. That could be of interest. Today, from GoogleEarth, it can be seen that ‘this’ Potal does not more exist ! as Поmал . With capital letter its reads Потал, and, according to Latin alphabet that gives Potal.